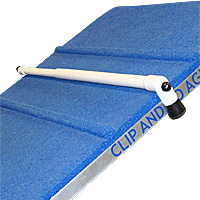 Clean Run Productions was established in 1995. At that time, our sole business was publishing Clean Run, a weekly newsletter for dog agility enthusiasts. In 1997 we changed to a monthly magazine format, which we've been developing and improving every year. 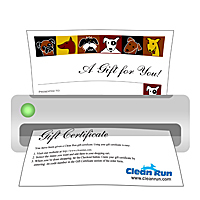 Today Clean Run is a full-color, highly professional publication and the largest agility training magazine in the world. In our efforts to increase the educational and training information available to the agility community, we published our first book—the Introductory Agility Workbook—in 1996. Since then we've published 41 books and 50 DVDs, which are sold throughout the world. In 1998 we started setting up a small booth when we attended agility trials to promote the magazine and the books. However, we had so many requests from exhibitors to carry other agility trial- and training-related products, that our small table of books quickly grew to a 10' x 20' tent. The webstore soon followed and our product line has continued to expanded to meet the needs of dog sport enthusiasts and dog lovers. We try to provide a variety of unique, high-quality products for people who are active in canine performance sports as well as for the dogs—things that you generally won't find in the "big box" stores. Before we add a product to the store, both our human and canine office staff tests the item for usability and quality. If we wouldn't use it ourselves, we don't sell it. 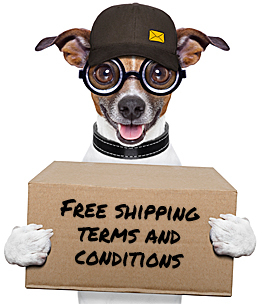 Our goal is to offer you great gear for you and your performance dogs and to provide a pain-free shopping experience. We hope you enjoy our store! Our employees are dog lovers and proud dog parents as well. 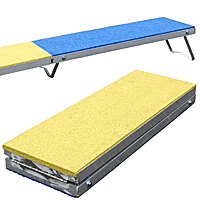 Several of us also compete in agility on a regular basis. On any given day, we have 15 or more employee dogs at work relaxing in their canine "condos" in the warehouse. So we understand the unique relationship between dogs and their people. We also understand the passion for dog sports and training our dogs to do incredible things with us. We are a small, family-oriented business and our employees truly care about each and every order. We believe that you deserve friendly, knowledgeable, timely, and quality service from us. We don't spend money on advertising—we rely on word-of-mouth referrals from customers to build our business. So that means we need to go the extra mile to deliver more than you expect! If you need any help or have a question, please don't hesitate to contact us. Many of the products that we sell were initially recommended to us by customers. So if you come across a new product that you think other dog folks would enjoy, please let us know and we'll happily investigate it. Or, if you have an original product idea that you would like us to work on developing, please contact us to discuss it.